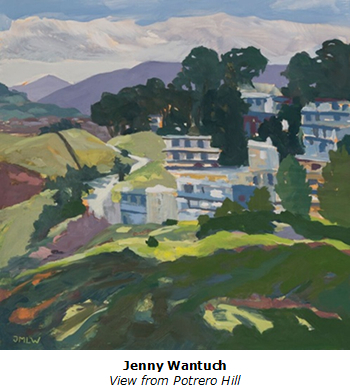 East Gallery presents Open Air, an exhibition by twenty-two members of the Burlingame Plein Air Painters. All works were created en plein air during Burlingame Plein Air Painters (PAP) paint-outs, in Bay Area locales from Point Reyes to Portola Valley. 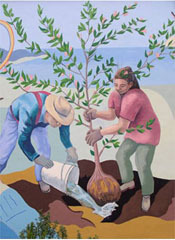 Founded in 2013 by artist Jenny Wantuch, Burlingame PAP is dedicated to the historic tradition of painting directly from life, while remaining open to exploring contemporary styles and techniques. Today Burlingame PAP has 275 members, with Bart Charlow serving as co-organizer.